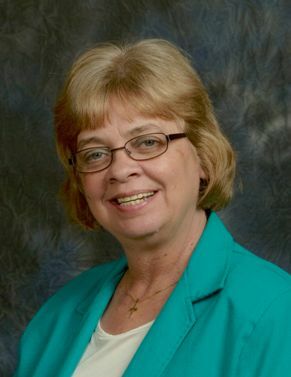 Marcia A. Burr, 63, of Fremont, OH passed away on Sunday, April 7, 2019 at ProMedica Memorial Hospital. She was born on April 9, 1955 in Fremont, the daughter of Walter and Phyllis (Hoy) Sloan. She was a 1973 graduate of Fremont Ross High School and attended Bowling Green State University. Marcia married Gregory Burr on October 26, 1974 in Fremont and he survives. She was a retail representative for Hallmark for many years. Marcia was a member of Hayes Memorial United Methodist Church where she was active in the Youth Club and kitchen crew. She was an avid reader and sports fan, and enjoyed doing puzzles and collecting bells from wherever she traveled. She most enjoyed spending time with her family and friends, especially during the Christmas season— her favorite time of year. Marcia is survived by her husband of forty-four years, Gregory Burr, Fremont, OH; children, Matthew (Mary Kay) Burr, South Gate, MI, Todd (Melissa) Burr, Fremont, OH, Jeffrey (Elizabeth) Burr, Mooresville, NC; parents, Walter and Phyllis Sloan, Clyde, OH; siblings, Teresa (Al) Snyder, Fremont, OH, Lee Ann (John) Gouttiere, Waterville, OH and Troy Sloan, Madison, OH; grandchildren, Bruce, Dylan, Alayna and Miles Burr; step-grandchildren, Trinity and Jarett Jones; mother-in-law, Betty Burr, Fremont, OH. She was preceded in death by her father-in-law, Carroll “Ed” Burr. A Celebration of Life Ceremony will be held at a later date. Memorials can be made to the American Cancer Society or the Youth Club at Hayes Memorial United Methodist Church. Arrangements are entrusted to Wonderly Horvath Hanes Funeral Home and Crematory, Fremont, OH. Aunt Phyllis and family I’m so sorry for your loss. My thoughts and prayers are with you. So sorry for your loss! Sending prayers! Greg and Family, I am so sorry to hear of Marcia’s passing. My prayers are with you and all of your family. My brother, Brian Franks thought the world of Marcia. He loved her baking and what a wonderful and special woman she was. You have our deepest sympathy may God help you through this most difficult time. Phyllis, Teri, and Family: So sorry for your loss. Keeping you in my thoughts and prayers. May she rest in peace..
Our deepest sympathies to all of you! You will continue to be in our thoughts and prayers! Please let us know if you need anything. I’m so very sorry for your loss. We will be praying for your family. I am so sorry for your loss. Marcia was one of my best friends in grade school. I pray that God keeps you all in his arms and is with you during this very difficult time. You are in my prayers.